“We were made by a power of love, and our lives were meant-and are meant- to be lived in that love. That’s why we are here.” Bishop Michael Curry, The Power of Love, p. 8, Avery 2018. If you are any bit an anglophile and arose early on the morning on May 19th, 2018, to watch the royal wedding of the American actress Meghan Markle and Prince Harry at St. George’s Chapel, Windsor Castle, you were in for a surprise treat. We knew the American presiding bishop of the Episcopal Church, Michael Curry, was the preacher. We had heard and seen him preach before. We knew his style. We knew his message of love. Knowing all this did not keep us from being surprised by his words and delivery. His message, his teaching style were now in a different setting, a very proper English setting. The intimacy, the power, the conviction of his words in that locale somehow made them even more powerful. We wept. We laughed. We wanted to remember every word he said about love, his signature sermon topic. 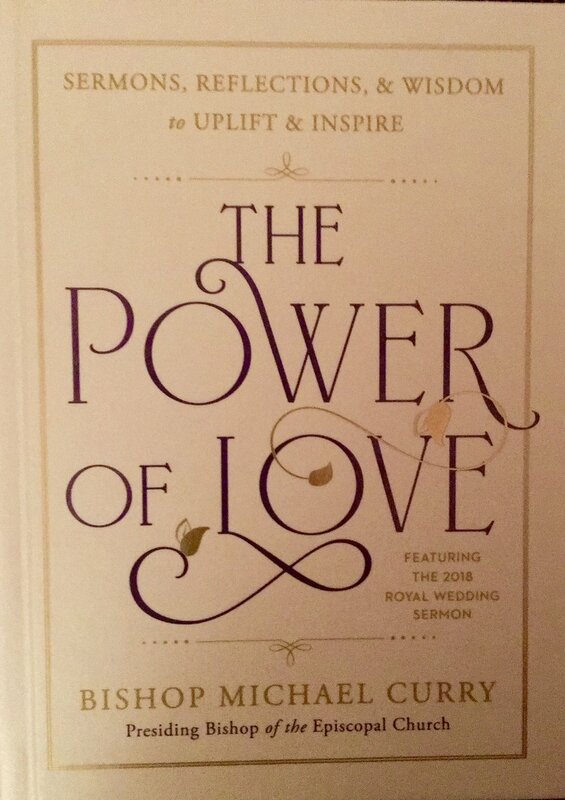 Now we have the sermon in his latest book, The Power of Love, as well as three other of his sermons about love. Bishop Curry preaches in a style of his African American heritage. He has brought that tradition to the Episcopal Church and now to the Anglican Church. He reminds us of the richness that comes with diversity, when one culture merges with another and produces a hybrid that causes us to stand up and listen to a message we have heard before, but now hear with new ears. Bishop Curry’s message of the power of love is one we desperately need to hear at all times, but especially in today’s environment. 2 The Power of Love, p. 13.